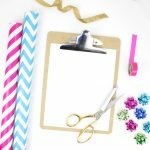 Available NOW at Michael's: Sizzix's Big Shot Jewelry Studio & More! From New York, to California, our Big Shot Jewerly Studio and dies will be available in Michael's coast to coast! Check out the list above to see which Michael's store is nearest to you! To kick off your jewelry making, our incredible Big Shot Jewelry Studio provides the essential anchor for all of your jewelry creations. With the capability of cutting many thicknesses and materials, (including our original line of leather) this studio elegantly embosses and etches intricate shapes onto metal blanks and is compatible with Sizzix dies and embossing tools up to 6 inches wide. The Jewelry Studio comes with (besides the machine) a Movers & Shapers Shuttle, a Precision Base Plate, a pair of Standard Cutting Pads, a Platform, and a Wafer Thin Die Adapter. But that's not all. Our Coral Cutting Pads are also available for purchase as well, which are sure to add some flair and fun to your jewelry making! We have SO much admiration for Jill MacKay's amazing work as well as her down to earth, relaxed, awesome personality. Growing up working as a cowgirl on large ranches, Jill brought her western influences into the designs she created for Sizzix, from the look and feel of the "ladies of Aspen" to the Colorado lifestyle with the wide open spaces and vast areas of majestic wilderness, not to mention those high blue skies and unending sunshine. With Jill's love of making jewelry and our die cutting capabilities, a match was made and a jewelry line was born. 13 of these dies designed by Jill (pictured above) are waiting for you with our Big Shot Jewelry Studio at Michael's! When it comes to creating jewelry, the essentials are everything, and this essential metal finding will perfectly complete your jewelry masterpiece. The best part is, this custom created finding finds its match with Jill MacKay's Paisley die, which is also available at Michael's! These 3 dies from our Sizzix collection and Lindsey Serata work perfectly with our leather and jewelry findings to make amazing statement pieces. The versatility allows you to create many different types of jewelry – necklaces, bracelets, earrings, lockets and more! 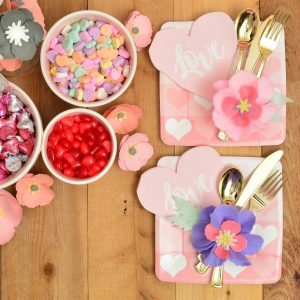 What’s also great about all of this is you are using most of the paper craft techniques that you know and love – cut, emboss, and embellish – so you’re not required to learn all new techniques! Botanical swirls, flourishes and blooms are gorgeously captured in these amazing dies by our Creative Director, Jen Long. Transform metal blanks into beautiful pieces of jewelry with just a simple roll through our Big Shot Jewelry Studio! Give your metal a geometric impression that is as tantalizing as it is trendy! These three Deco-Emboss dies by Lynda Kanse and Katelyn Lizardi are sure to help in creating THE statement piece for your wearable makes! Our gorgeous cowhide leather is a jewelry maker's dream! Coming in nine complimentary colors, with six at a 2"x8" size, and three at a 3"x9" size, our Sizzix Leather is perfect for your next necklace or bracelet project. Pre-cut for less waste, each sheet can create multiple base and overlay pieces. The Genuine Cowhide Leather is ideally weighted (1.8mm thick) as a sturdy base for any jewelry-making project. These unique shapes offer the most amazing results when used in combination with our Deco-Emboss dies, and if a gold/brass color fits your fancy, these shapes are just for you! These unique shapes made from Alkeme™ are a great alternative to sterling silver blanks, allowing for intricate and delicate designs to be captured within the soft metal- a perfect pairing with our Deco-Emboss dies! Whether you love gold or silver, this Necklace jewelry kit will beautifully finish off your jewelry make, with unique clasps, differently sized jump rings, and of course, two delicate chains for any fashion statement you're wanting to make! You're bound to turn heads when you make a pair of gorgeous earrings with our Earring Jewelry Kit! And with lovely designs like the ones on our Earring Hooks, you can't go wrong! Whether its a necklace, a bracelet or even a delicate belt, these findings in our Connecter Jewelry Kit are sure to be the most fantastic finishing touch to your wearable art pieces! Every piece of jewelry tells a story. 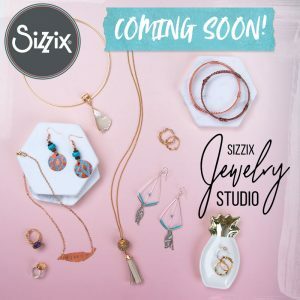 With the Sizzix Jewelry Studio 2nd Edition project booklet, Sizzix welcomes everyone – from the first-timer to the expert – to create their own story with the Sizzix Big Shot Jewelry Studio Machine. 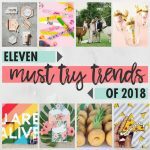 This informative booklet details twelve unforgettable projects that showcase on-trend designs for personalizing earrings, hair accessories, bracelets, necklaces, pendants and more. We are so excited to see what special jewelry you can make with our latest collection, which is available TODAY at the 30 participating Michael's stores! What new jewelry makes are you excited to start working on? Share with us in the comments below! If you aren't already, make sure to follow us on Facebook, Twitter, Instagram, Pinterest and Snapchat for inspiration, DIY's and sneak peeks! Be sure to hashtag #sizzix when you share your projects so that we can see them and reshare!